You can tell a lot about a woman from what’s in her bag. But, rummaging through it without her permission would be rude…and definitely wouldn’t go down too well on a first date. A handbag can be a woman’s life line. It contains all the ever so necessary things to get through the day. Some bags, are like Mary Poppins bags, filled with absolutely everything but the kitchen sink. Other bags are so teeny-tiny that they wouldn’t even fit a phone in them. Who knew that your bag can reveal so much about you. Today, I’m going to let you delve into my handbag and subsequently, delve into the inner-workings of my mind. Let’s start at the beginning (…obviously) and take a look at the handbag itself. 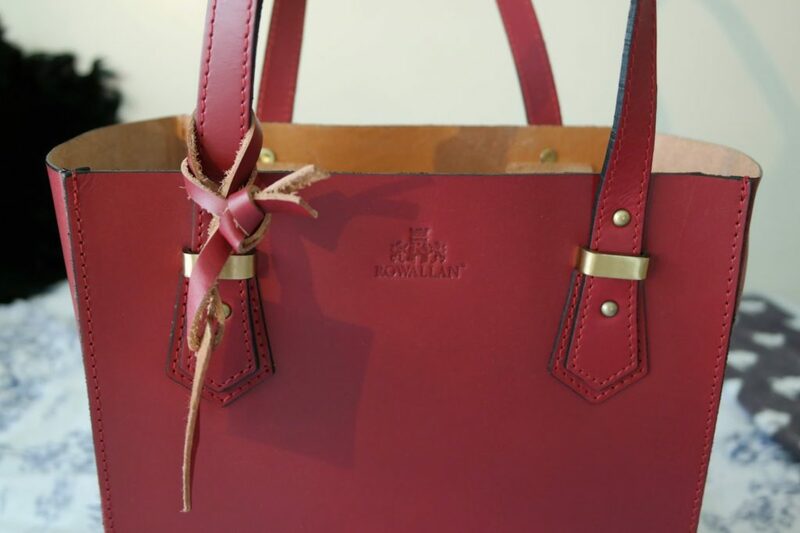 It’s a beautifully hand-crafted deep red leather tote bag. I’m a sucker for tote bags. Oh, and big bags. You won’t ever catch me with a tiny bag. They baffle me. 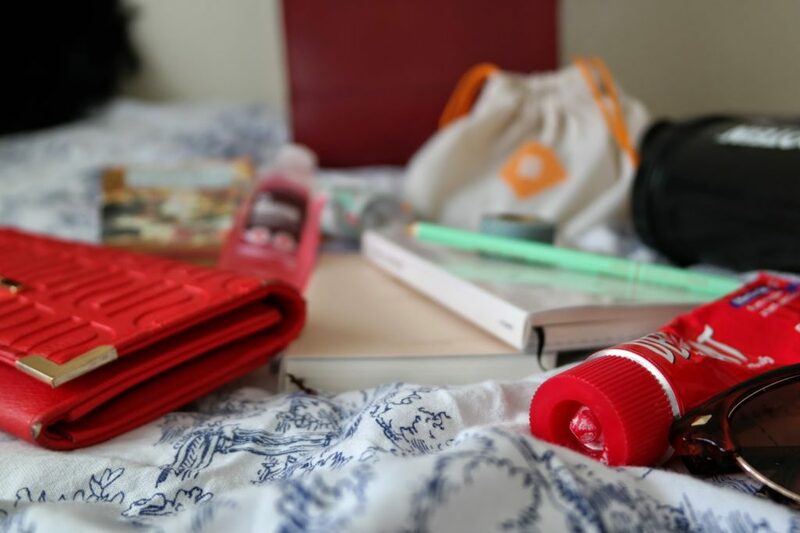 Like, seriously how do you fit your daily necessities in such a small thing?! In my eyes, when it comes to bags size really does matter. And the bigger, the better. I managed to snap this lovely tote up from TK Maxx at a ridiculous £25. Honestly, I always try to avoid leather products. The thought of it makes me feel queasy. But, I’ve had to make an exception for this bag. I did put off buying it for months simply because it was leather. Though, I eventually caved and bought it. 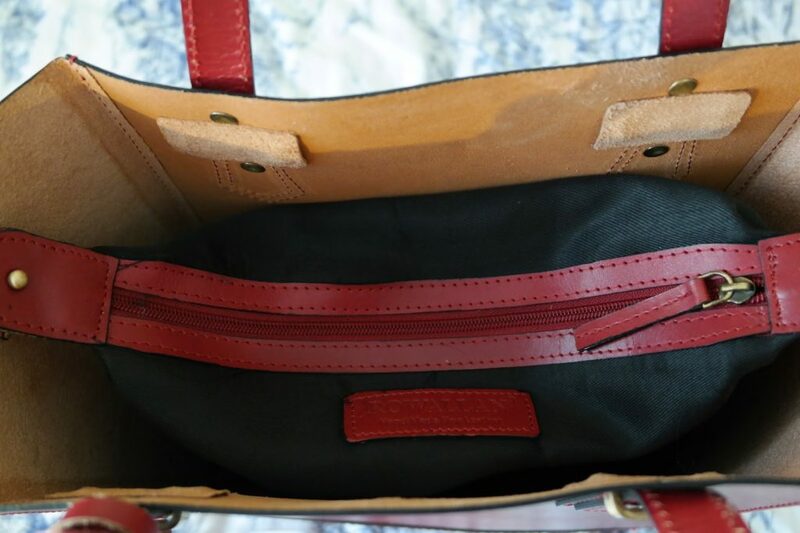 Partially, because I just couldn’t find a durable faux leather tote that compared to this one in regards to quality and value for money. I like to think that I travel reasonably light. Though, I imagine others may beg to differ. As well as my bag, I also carry my IPhone and Ipod (yep, I still use one of those retro things) and my bunch of keys. These are usually stuffed into a coat pocket for easy access at all times. Starting with the most practical objects. Of course, you’ll find my purse somewhere in the depths of my bag. I love the colour of this River Island purse. I also like my purses just how I like my bags- big! This one is getting rather tatty now but I secretly hate buying purses. Spending money on something that I want to keep money in confuses my little brain. 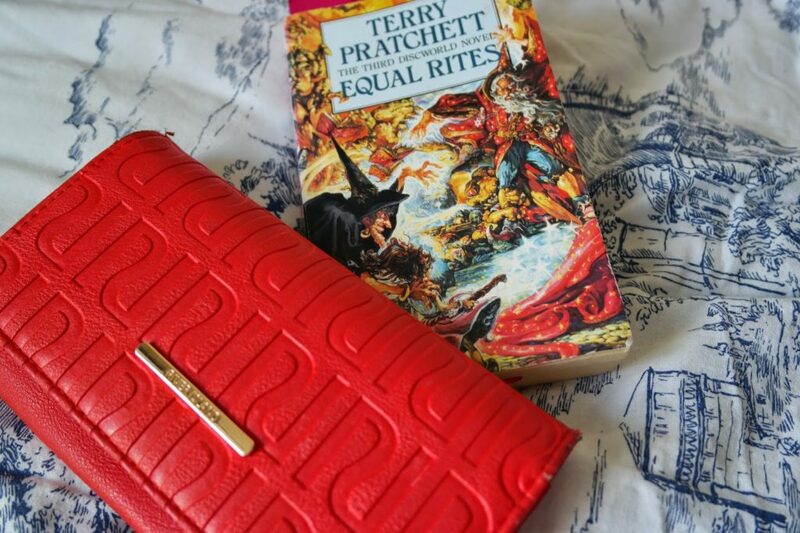 As well as my purse, I normally have a book tucked into my bag. There’s bound to be a perfect opportunity to whip out a book for a quick (or not so quick) spot of reading. Currently, I’m reading a lot of psychology or business related non-fiction books. But, at the moment I have this Terry Pratchett novel stowed away in my bag. This way I can escape to a magical land for a few moments when I’m on a long journey, out for coffee, waiting for a friend or whenever else takes my fancy! If you were paying attention to the photos, you may notice that I have Deep Heat in my bag. 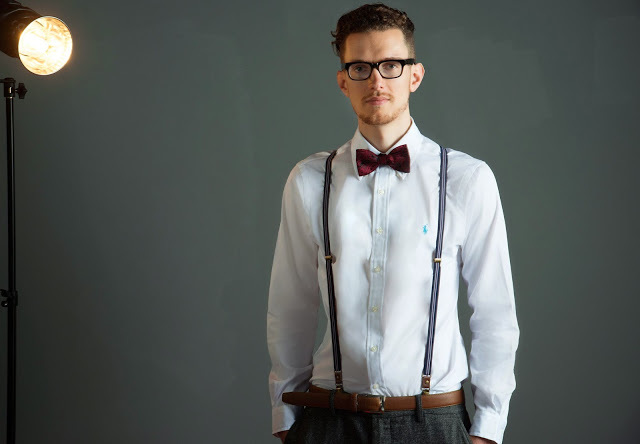 You’re probably thinking ‘that’s a bit odd’. So, let me explain. Deep heat is something I’m rarely seen without. 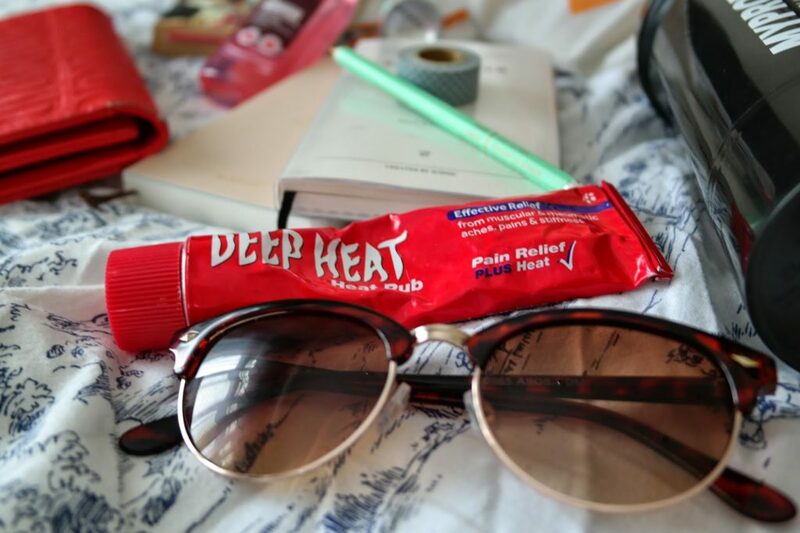 I suffer with severe migraines and deep heat is my little saviour. The intense heat can be quite soothing and helps to relieve some of the physical migraine pain. Though, it does mean smearing deep heat across my forehead in public. Oh and the scent….it’s not the most attractive thing. My migraine kit also contains sunglasses. Despite my love of the sun, the feeling isn’t mutual. So, I often find myself having to hide away to prevent the excruciating pain of a migraine. These Asos sunglasses are the typical rayban-esque stye. I seriously need to up my sunglasses game. I just don’t think I suit sunglasses. I have serious envy of people who can pull off sunglasses! My emergency migraine kit also contains a huge bottle of water and some dark chocolate. Though, it appears I finished off this last lot of chocolate before snapping these photos. A small square of dark chocolate can do wonders for helping to get me through a migraine! And it tastes good, win-win! My bag also contains the usual suspects for staying organized- diary, notepad, pencil and washi tape. Okay, washi tape may not be that normal to carry around with you. 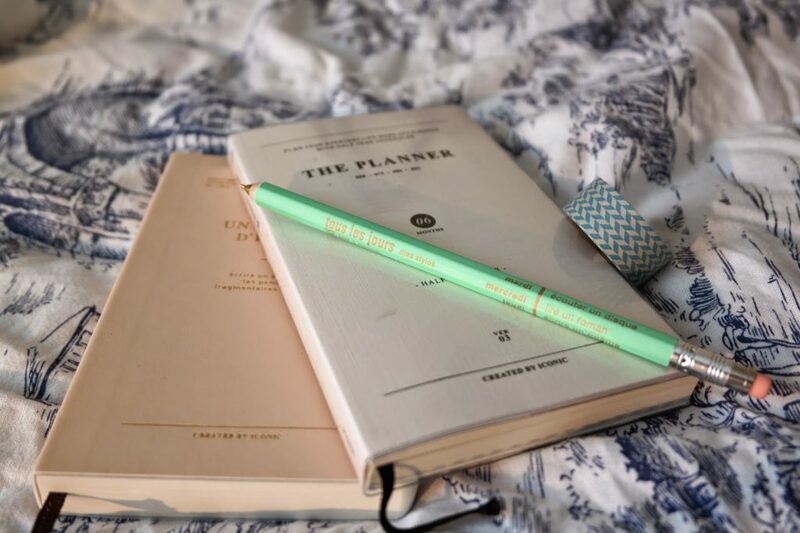 My diary and notepad were from The Journal Shop and I adore them. They’re so beautiful that it almost pains me to write in them. But, I’d be totally lost without them, so needs must! My notepad is used for scribbling down blog post ideas or any other thoughts that pop to mind and urgently need to be remembered. I’m old-fashioned when it comes to making notes. I just think nothing will ever be as good as pen and paper. My brain is always going at 1000mph so I find these keep me on track at all times. Finally, in my bag you’ll find a little bag of oddments. 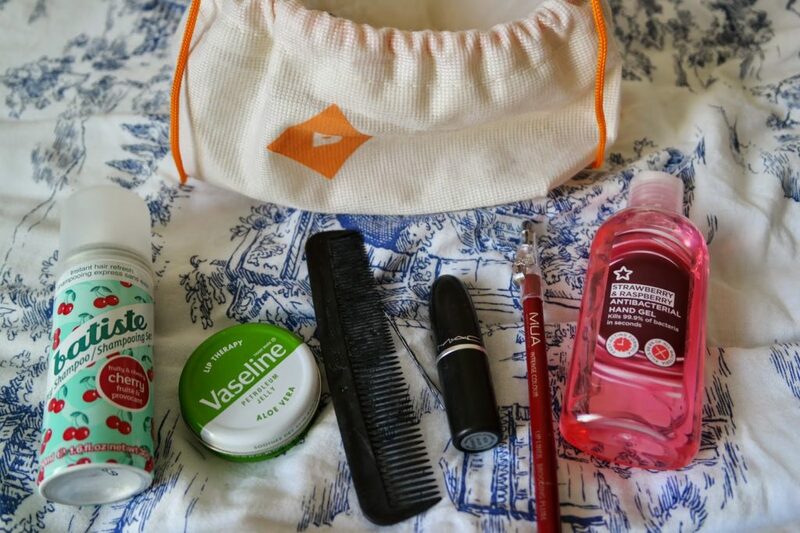 The drawstring bags that come with Birchbox subscription boxes are perfect for storage. In this, I’ll keep a small selection of cosmetics and other bits and bobs for that day, including anti-bac gel to keep all the icky germs at bay. In here, you’ll usually find a comb, a few hair grips, lipstick, Vaseline and a mirror, amongst other things. I’m rubbish at touching up my make-up throughout the day (sorry to all you beauty bloggers out there!). So, I tend to stick to a quick lippy application. Though sometimes, that doesn’t even happen, oops. My hair is alwaaays knotty so a comb is a necessity. It keeps me from looking like an unruly thug. Also, I’m trying to grow my fringe out so grips are another necessity. Though, I can’t say the grips ever last a whole day without going missing. Honestly, where do they run away to? Apart from the odd receipt here and there, that’s about it that goes into my handbag. Now, I may have studied Psychology for 5 years but I have no idea what the contents of my bag says about me. But feel free to analyse away and let me know what wondrous things you have found out about my personality from a peek inside my handbag! What would your bag say about you? I loved this post! Such beautiful photos as well. I rely on deep heat at the moment; it's become one of my life heroes and I can fully empathise with you over its fragrance!! I quite like the smell, I've got used to it now… but I've heard others enter houses or rooms I've been sat in after application and voice their disgust at the smell hahaha. Don't even care, if it helps our pain! Oh you don't know how happy it makes me to know I'm not the only deep heat dependant girl! I like the smell as well but I know some people can't stand it…oops! Then whenever someone comments on the smell I have to sheepishly admit to being the deep-heat smothered girl haha! 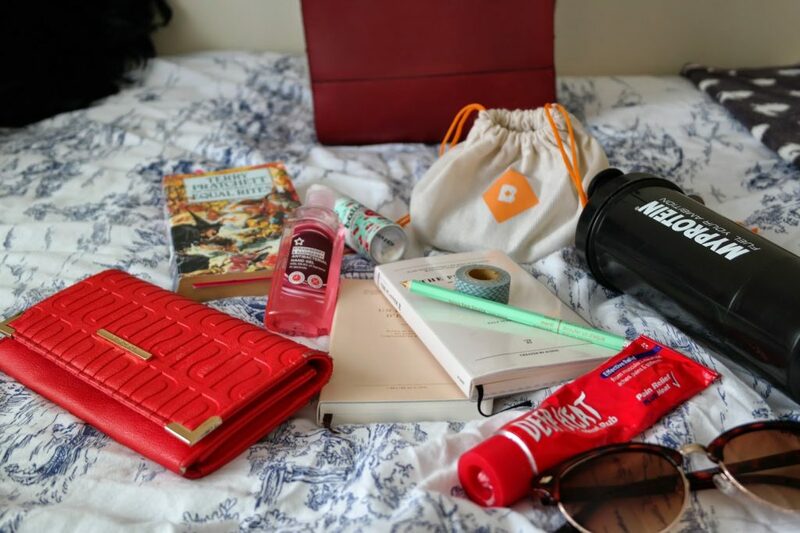 I have a migraine kit too – it's nice to know I'm not the only one who carries emergency supplies haha! 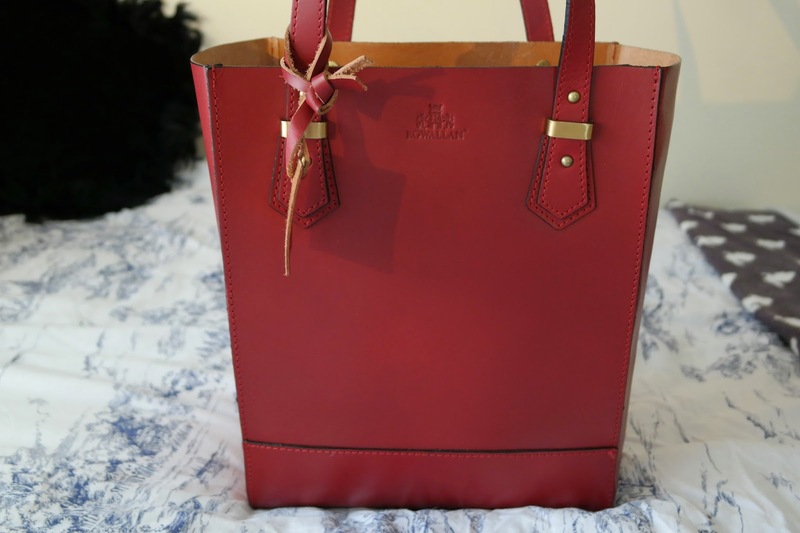 That bag is seriously lovely though. I think I need to pay a wee visit to TK Maxx, it's been too long! I love this bag! I'm really nosey so love what's in my bag posts lol. I had no idea deep heat worked for migraines!